Station Hollywood: Happy birthday to Raakhee Gulzar. Happy birthday to Rakhee. The viewers of bollywood films wish happy birthday to Rakhee on 15th August, 2018. She had contributed in bollywood films for more than 30 years. She had contributed both as a leading actress and also as a character actress. Rakhee came to limelight with her successful film Sharmilee opposite Shashi Kapoor in the early 70s. The songs of the film composed by SD Burman became very successful, including the songs “khilte hai dil yahan”, “megha chaye aadhi raat”, etc. Rakhee played a double role, one being calm and quite named Kanchan and the other who was outspoken named Kamini and created attention. In the mid-70s Rakhee acted in landmark roles including the one in the film Kabhi Kabhi opposite Big B and Shashi Kapoor. She loved a poet played by Big B, but had to marry Shashi Kapoor. The poetry of Big B created a great impact in the life of Rakhee. The songs of Mukesh and Lata composed by Khayyam in the film including “mai pal do pal ka shayar hoon” and “kabhi kabhi mere dil me” made the viewers spellbound. 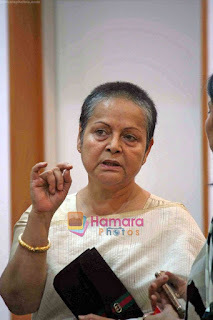 Rakhee acted in many landmark films opposite Big B including Shakti Shamanta’s Bengali film Anusandhan, hindi film Barsaat Ki Ek Raat, Kala Patthar, Kasme Wade, etc. In the early 80s Rakhee played the role of her lifetime opposite Dilip Kumar in the film Shakti. She played the role of the mother of Big B, who faced the hostility between Dilip Kumar and Big B, one being the protector of law, while the other being the lawbreaker. The scenes where she praised her law-abiding husband her performance had outcast Big B, and viewers said that Rakhee’s performance was as brilliant as Dilip Kumar in Shakti. The film became super hit. She was brilliant in the film Shaan. She played the role of the wife of Sunil Dutt. After the death Sunil Dutt, her small interaction with Shashi Kapoor and Amitabh Bacchan, who were the brothers of Sunil Dutt in the film, had shown the class of acting of Rakhee. Rakhee by that period of time created her own class in character roles. She was outstanding opposite Suresh Oberoi in the film Shraddhanjali. In the 90s, Rakhee played many character roles in films like Anil Kapoor’s Ram Lakhan, Shahrukh Khan and Salman Khan’s Karan Arjun, Bobby Deol’s Soldier, to name a few. She had acted in more than 100 films and continues to act in many contemporary films. Rakhee had also acted in many character roles and challenging roles. Her performance in Aparna Sen’s film Parama requires special mention. She had affair with a middle-aged neighbour. When the truth relating to her extra-marital affair was known to her husband, she lost her value in the family. She showed the helplessness in the respective story. She had performed in both commercial films and parallel cinema and in both forms of films she had kept a mark. She was sublime in the other Bengali film Shubha Maharat. The viewers expect her to continue the good work in the years to come.